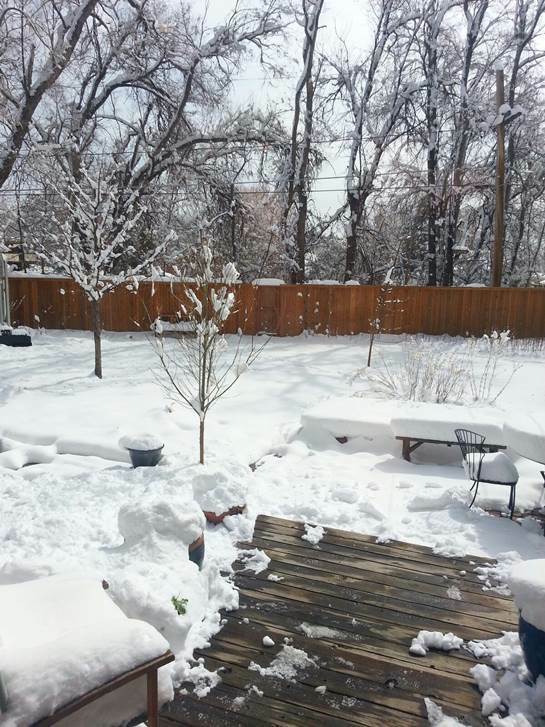 As we continue our visits around the country that show us the personal and diverse components of Unbridled Books, we find ourselves at the home of co-publisher Fred Ramey, in Lakewood Colorado, confronting lots and lots of snow. Snow in April? Brrr! “April is the month I was born in, in the third week. And I’ve long thought that it was time for us all to celebrate April and take it back from the doers of wrong, the violent ones who seem to want it for their own incomprehensible ends. I took this picture of my backyard this week. In most years we shrug and say, April is a snowy month in Colorado.